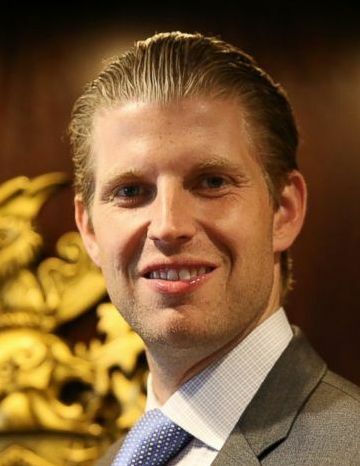 In a candid sit down with a New York radio host last week, Eric Trump opened up about what life was like growing up in the Donald Trump household. “I have to tell you, the money and fame wasn’t bad, but being around that Type-A personality 24/7 wasn’t easy,” claims Eric. Eric recounted how he heard someone upstairs in his bedroom and what sounded like metal on ceramic. Turns out, as Eric tells it, the senior Trump had ordered a pizza from Domino’s and was short a few bucks to pay the pizza delivery guy, who wouldn’t go away, even though the elder Trump told him he was good for the money. Evidently, this same delivery boy had been stiffed a couple times at the Trump residence and was holding his ground, making it necessary for Trump to break into Eric’s piggy bank. Eric ended the conversation by saying that for all his faults, his dad was a pretty decent guy.